Do you know somebody who is getting wise with age? Or who wants to learn from those who are? They may appreciate the book, Wisdom, photographer and filmmaker, Andrew Zuckerman. 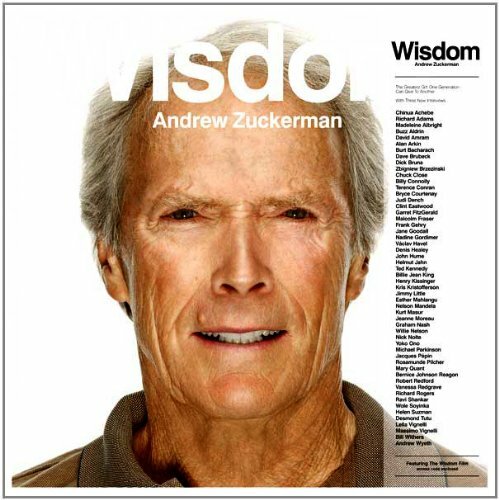 I've included one of Zuckerman's animal photography books for kid's in a gift idea, but his book, Wisdom, features his detailed photography and considered whitespace with interviews of more than 50 writers, artists, designers, actors, politicians, musicians and leaders, all who are over 65 years old. This is a coffee-table book, so be aware that it is large, measuring 12.2" x 12.2" and 1.2" thick. All the more wisdom to gain!